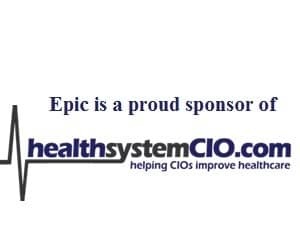 More than 82 percent of CIOs say the voices of those who will have to implement MU (providers/vendors) are not being heard and acted on by the people crafting it, according to a recent healthsystemCIO.com SnapSurvey. Despite that widespread sentiment, the same percentage say they would be disappointed if the program were to be cancelled tomorrow. Also, most feel outgoing National Coordinator David Blumenthal, M.D., has done a solid job, with 60 percent rating his performance a 4 (on a scale of 1-5) and 17 percent giving him top marks (5). In terms of Blumenthal’s replacement, a majority (60 percent) want another M.D., whether practicing or non-practicing, with 30 percent voting for a hospital or health system CIO like themselves. Finally, the vast majority (70 percent) think Stage 2 is way too soon to incorporate elements of the PCAST report into Meaningful Use. 3 — Maybe harsh, but he has probably done his best with his perspective. 4 — Good guidance, but no real plan in place for effective delivery of reform or meaningful use. 4 — He certainly moved the agenda forward after taking over. 4 — The delay in Stage 1 Final Rule really hurt our funding and plans. 4 — Tough job. He has probably done the best he could, but my guess is the politics were getting to him. 4 — A thankless job, I think he was a bit more effective than the last ONCHIT director. 2 — He tried to do too much, too fast and failed. He did not understand the current state and complexity of IT. M.D. (practicing) — We need someone from mainstream healthcare — less academia, less Boston. Hospital/health system CIO — We need someone who actually understands IT in healthcare, not a physician who assumes he or she understands it. Physicians’ understanding of healthcare IT is typically very narrow will very little technical depth — which is where we get all sorts of assumed benefits from MU, few of which will actually happen absent significant changes in organizational and individual behavior. M.D. (practicing or not practicing) — MD who has been a health system CIO. M.D. (practicing or not practicing) — I would like to see someone with a strong Quality/Patient Safety background. As we go from fee for service to cost/quality reimbursement it will be important to link MU with Value Based Pricing, etc. Hospital/health system CIO — This time, let’s have someone who understands the cause and effect of all this stuff. M.D. (practicing or not practicing) — MD CIO or CMIO from a large complex system. Hospital/health system CIO — These rules are not direction setting. They are the details that need to apply appropriately to every situation. The person in this role needs to understand how things work, and what changes get the best results. CEOs, Policy wonks, and academics (especially academics) can’t do this. No – not enough — You nailed it with your analysis Anthony. The people who have to keep the trains running and who understand the obstacles the best are underrepresented. Yes — Yes, but not enough, and not fast enough. Yes — Yes, but it is slow and the feedback is weak. No – not enough — The timeframe being given is simply not enough, particularly with 5010 and ICD10 deadlines looming. This is not being heard by those who are pushing the MU implementation. No – not enough — I think the Quality Measures that were added are a good example of that. No – not enough — I actually think that CMS is interpreting ONC MU criteria in the most conservative way possible so as to not have to pay the incentive. No – not enough — It has been too siloed for my liking. But I am only one voice, of course. No – not enough — What is the point of making testing something (ie. CCD) a criteria for MU? That is forcing organizations to invest in technology that will sit on the shelf for a while at a time where this market is in major transition/development. By the time we end up implementing some of this technology, the world will have passed us by with newer, better technology. No – not enough — I think they want to be effective. But they are too far removed and the timelines they are dealing with force them to cut corners. No — MU should be driven by the recommendations of those in HC IT. No — The concept has not been validated, much less the development and implementation feasibility tested. No — PCAST is not a 2 year, Stage 2 effort. It is so different from what is currently going on in the industry that it is likely too soon to try to implement. I do think the directions proposed make sense for the longer run. The question is how to get there. Yes — Definitely, My fear is that we will have conflicting and competing initiatives. If you look at the criteria for value-based purchasing and MU required quality measures, they are not syncing up and, in some cases, meeting one hurts the other. Disappointed — I think progress would stop. Disappointed — This has helped spur the healthcare IT market in the right direction. Even if they stopped now, the ball is rolling. Disappointed — I would be disappointed that a program had not been sufficiently framed to gain confidence on the potential improvement that would result from a well-implemented incentive model. Disappointed — Although it would not change the path we’re on or the speed at which we’re moving. Disappointed — Having money is always better than not having it. Disappointed — It would take the pressure off, but the traction being built would be lost and possibly not regained. While the funds only reimburse about 10% of the overall cost of the implementation, it is better than nothing, and we need to implement EHR anyway. Disappointed — The momentum and effort is well underway. There may be reasons to tweak the plan but there is absolutely no reason to cancel the program. Disappointed— I don’t think we would have the level of EHR adoption today and next year if HITECH did not exist. If funding was ever pulled, I would hope they would keep the 2015 penalty. Relieved — It would take the time pressure off, and the money/reimbursement pressure off. The work will still happen at most places though. All of our MU projects were in the pipeline before the legislation. Disappointed — Probably both, but probably more disappointed then relieved. Disappointed — Never before have I witnessed the entire industry moving forward following the same menu set of goals. It is unprecedented, difficult, and expensive, but long overdue. Relieved — It would make my day. The discussion reminds me a lot of the line in the movie “City Slickers,” “We don’t know where we are going, but we are making really good time.” However, I do not even think we can pat ourselves on the back for making really good time. From where I sit there are two problems with the ONC/CMS strategic plan to link every patient to every provider; the strategic plan is neither strategic, nor is it a plan. Just because everyone is working hard does not an N-HIN make. Eighteen months from now many providers will find themselves with HIT systems that are so befuddled they will not have any idea how to undo what they have done to themselves by following Washington’s plans to nationalize healthcare. Business strategies are being sacrificed for the promise of an EHR rebate check. Resources are so focused on trying to meet Meaningful Use that they have scarcely looked at all the work they must do for HIPAA 5010 and ICD-10, and the financial penalties of unpaid claims associated for failing to comply with ICD-10 will far exceed any monies they may have received from Meaningful Use.